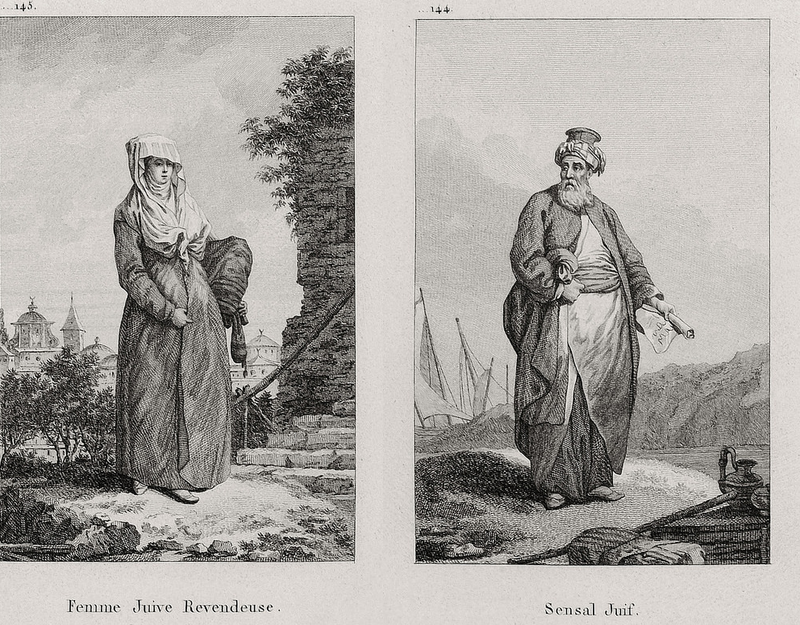 The Ottoman Archives include illustrations of a Jewish woman and man, labeled in French captions as merchants. The woman stands in front of buildings with Islamic crescents and one building with a cross. Behind the man are ships, and in his hand is a document with what appears to be a Hebrew script. At his feet appear to be cargo items.